Contact - Houston Granite and Flooring L.L.C. Houston Granite and Flooring L.L.C. 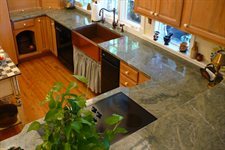 The Houston Granite and Flooring sales team can assist with any aspect of your project. Our knowledgeable and experienced representatives can assist you with any questions you may have regarding solid surfaces, granite, marble or engineered stone. Houston, Galveston, Woodlands, Sugarland, Katy, Humble, Kingwood, Clear Lake, Pearland, Friendswood, Spring, Bellaire...All of Houston and Surrounding Areas.